To register click on "Classmate Profiles" on the Left menu bar. Then click your year, and then your name. Your name may be listed as your maiden name or married name. When you register you will see an ( * ) asterisk followed by 2 spaces before your last name. Please leave (or replace if accidently deleted) these characters when you join the site. The reason: The asterisk puts your name in the high school listing for your year. If you remove it (no harm done) but your name will drop down into the college list of names. If you have problems email me. 1953-69, high school names are listed above college names. Click on the SMP Merchandise tab in the left menu bar. The alumni presidents 2019 Easter message is now available under the "Presidents Page" in the left menu bar. This message was sent in a mass email, #74, on April 7th. Alumnus Scott Huse has put together another summer vacation package for mid to late July 2019, and is inviting all SMP alumni to join in. Click Punta Cana (Dominican Republic) for all the details. Act Fast to save your reservation! ANY QUESTIONS OR READY TO COMMIT: Direct them to Scott Huse (email: scott@scotthuse.com or on Facebook) Scott will coordinate the collection of all payments and forward to the resort on a quarterly basis. The goal is all reservations are paid 30 days in advance of July 19, 2019. For your 2018/2019 dues/donations "Pay Pal" is now a payment option on the website. The "Donate" button is located in the top right corner, under the log-in box. Give it a try! 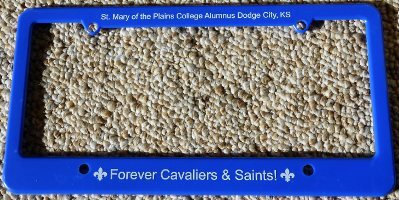 This license plate frame is now available for $5. Please email me if you would like one. Your email address is important to us -- and we protect it. It is not available to anyone visiting our website. Even registered users cannot see your email address. They can only initiate an email to you through this website. All emails sent from this website use the sending address of "noreply@classcreator.net" This is the hosting company we use for this website. They also protect your email address in many ways. And they take every effort to make sure emails from our website reaches you. All Internet Service Providers (ISP) and email services such as Yahoo and Gmail offer screening services for incoming emails. YOU have control over which emails will be allowed to pass in one of three ways. You can "whitelist" a specific email address by adding it to your approved list. If you find an email you wanted to receive in your 'bulk mail' or 'spam' folder, you can click and indicate that it is NOT spam to you. The Alumni Association depends entirely upon your donations. Please consider a $20 annual membership remittance to help support this site. This site will be our main means of correspondence with all SMOP alumni from July 2009. We have committed to a 10 year contract to maintain this site. Your donation will help to assure we will continue to bring you all the current information regarding St. Mary's and 6,000 of your alumni brothers and sisters. 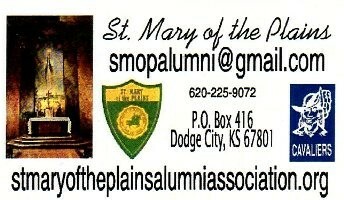 Our address is St, Mary of the Plains Alumni Office, P.O. Box 416, Dodge City, Kansas. 67801 Thank You! 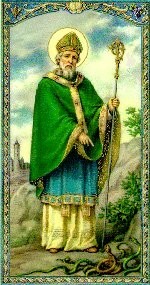 Did you know that St. Patrick's Day is the Roman Catholic feast honoring Ireland's patron saint, St. Patrick? 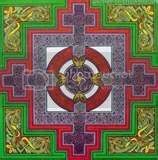 The holiday is also an international celebration of Irish history and heritage. 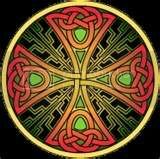 Patrick was neither Irish nor particularly religious, at least not initially. Patrick was born Maewyn Succat in 385 CE in the Welsh town of Banwen, and for the first sixteen years of his life he was an avowed pagan. Maewyn, was captured by Gaelic slave traders at the age of sixteen and sold to an Irish sheep farmer. He was enslaved for six years, during which he turned to Christianity for comfort. He escaped at the age of 22, and spent the next 12 years living in a British monastery. It was there that he adopted the name Patrick. While it is customary to wear green on St. Patrick's Day in the United States, the color green is actually considered unlucky in Ireland. Green is the color of faeries, which are believed to steal children who wear too much green. The Shamrock, considered the official plant of Ireland, was viewed as a sacred plant in acient Ireland and symbolized rebirth. 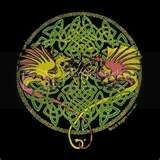 On St. Patrick's Day, some revelers will raise a pint of stout and wish their companions "Slainté! "—the Irish word, pronounced SLAN-cha, for "health." 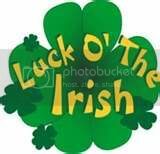 According to the U.S. Census Bureau, 34 million United States residents claim Irish ancestry, or nearly ten times the entire population of Ireland today, which stands at 3.9 million. Among U.S. ethnic groups, the number of Irish-Americans in the U.S. is second only to the number of German-Americans. 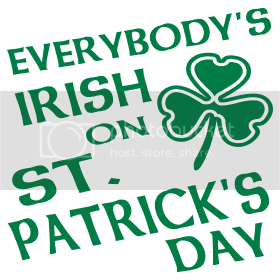 When March 17th arrives you can raise your glass and toast your Irish friends with one of these phrases. Which I will plant tomorrow. onto clothing items that will be available soon. Similar logos will be available for high school alumni. Feel free to submit your own suggestions. This site is and will be under construction probably forever! 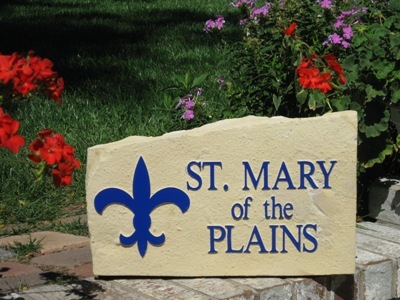 The following link will take you to the accreditation link for St. Mary of the Plains. A printable Invitation Letter to join our site is now available to all alumni who have need of a "hard copy" to mail to classmates. Please make a copy and include it in your Christmas cards. It's in PDF format, allow time to load. At the annual meeting of the alumni association, July 4 2009, the following alumni were elected to three year terms. Alumni Director Emeritus Janet Kliesen, Alumni President: Dr. Beverly Schmitz Glass C'76, and Treasurer/Webmaster Larry Noller. Nominations for new officers to be elected at the Alumni Business Luncheon scheduled for Saturday, June 2, are now being accepted! If interested in submitting your name to appear on the ballot, contact President Glass at glass@gcnet.com by Friday, May 18, 2018! Help Spread The Word: For those of you who are still in touch with former classmates/alumni, your parents, brothers and sisters, relatives or friends of St. Mary's, please send them an email and let them know about this site. Classmates.com boast 350 SMOP alumni have joined their site. If you belong please tell them about our site. This site was started on March 14, 2009 and opened for business on April 1. As of April 1, 2018, nearly 1,500 alumni, instructors and staff have joined up. Any ideas or suggestions you may have please feel free to email me at the "Contact Us" tab. There is still much left to do. Please be patient!